Textbooks are vital tools within the realm of education and textbook adoption is an essential part of the process. The textbook industry is a multi-billion dollar industry. ​Textbooks are to teachers and students as a bible is to pastors and their congregations. The issue with textbooks is that they quickly become outdated as standards and content continually change. For example, the impending Common Core State Standards are resulting in a massive shift in focus amongst textbook manufacturers. To offset this, many states adopt textbooks in a five-year cycle rotating amongst the core subjects. It is essential that the people choosing the textbooks for their district choose the right textbook because they will be stuck with their choice for at least five years. The following information will guide you through the textbook adoption process on your way to choosing the right textbook for your needs. Many districts have curriculum directors that lead the textbook adoption process, but sometimes this process falls back on the school principal. In any case, the person put in charge of this process should put a committee of 5-7 members together to assist in the adoption process. The committee should be made up of the curriculum director, building principal, several teachers who teach the subject up for adoption, and a parent or two. The committee will be charged with finding the best textbook that meets the overall district’s needs. The first duty of the committee is to solicit samples from each of the textbook vendors that have been approved by your state department. It is critical that you only select approved vendors. 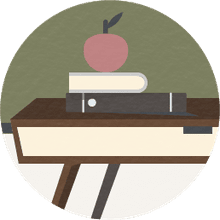 Textbook companies will send you a comprehensive set of samples that include both teacher and student materials across all grade levels for the subject being adopted. Be sure to have a place set aside with lots of room to store your samples. Once you have finished previewing the material, you can typically return the material back to the company at no charge. Once the committee has received all their requested samples, they should begin to go through the scope and sequence looking for how the textbook aligns to current standards. No matter how good a textbook is if it does not align to the standards your district uses, then it becomes obsolete. This is the most crucial step in the textbook adoption process. It is also the most tedious and time-consuming step. Each member will go through each book, making comparisons, and taking notes. Finally, the entire committee will look at each individual’s comparisons and cut out any textbook that doesn’t align at that point. The teachers on the committee should pick a lesson from each perspective textbook and use that book to teach the lesson. This allows teachers to get a feel for the material, to see how it motivates their students, how their students respond, and to make comparisons about each product through the application. The teachers should make notes throughout the process highlighting things they liked and things they didn’t. These findings will be reported to the committee. At this point, the committee should have a solid feel for all the different textbooks available. The committee should be able to narrow it down to their top three choices. With only three choices, the committee should be able to narrow their focus and are on their way to deciding which is the best choice for their district. The sales representatives are the true experts within their respective textbooks. Once you have narrowed your choices, you can invite the remaining three company’s sales representatives to give a presentation to your committee members. This presentation will allow committee members to gain more in-depth information from an expert. It also allows the committee members to ask questions that they may have about a specific textbook. This part of the process is about giving committee members more information so that they can make an informed decision. The bottom line is that school districts operate on a tight budget. This means that the cost of textbooks is likely already in the budget. It important that the committee knows they cost of each textbook as well as the district’s budget for these textbooks. This plays a crucial part of choosing textbooks. If the committee deems a particular textbook as the best option, but the cost of purchasing those books is $5000 over the budget, they probably should consider the next option. Every textbook company offers “free materials” if you adopt their textbook. These free materials are of course not “free” as you likely pay for them in some manner, but they are valuable to your district. Many textbooks now offer materials that can be incorporated with classroom technology such as smart boards. They often offer free workbooks for the life of the adoption. Each company puts their own spin on the free materials, so the committee needs to look at each available option in this area as well. The final charge of the committee is to decide which textbook they should adopt. The committee will put in many hours over the course of several months and should have a clear idea of that point as to which option is their best option. The main thing is that they make the right choice because they will likely be stuck with their choice for several years to come. Why Do College Textbooks Cost So Much Money?